A bar at The Savoy has become the first to send their menu into space. 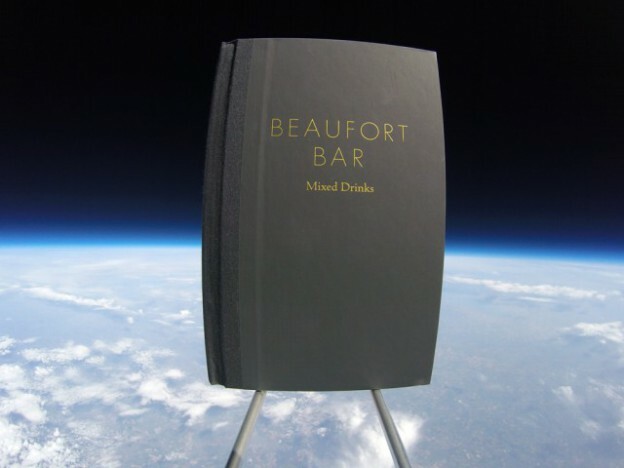 On Friday 17 April The Beaufort Bar sent their menu 36 kilometres above the Earth’s surface in a balloon, capturing the above photograph in the process. The stunt was planned in order to publicise their limited edition pop-up menu which has also been sent to all seven continents around the world – although the copy intended for Antarctica will only arrive at the end of this month. Chris Moore, head bartender at The Savoy, said: “Since we began discussing the concept of our pop-up menu we have always spoken of the importance of it being a symbolic journey. The menu was sent into space with the help of Sent into Space, a company which specialises in sending objects into space and photographing them. There are 15 cocktails in the book which are supposed to indicate a movement from early evening drinking into the wee small hours. See the video to find out more about the making of this pop-up menu.